The New England weather brought no surprises Sunday, but Tuesday is far less clear. After another day of cold, mostly sunny weather Monday, with a high near 33 degrees, Tuesday is expected to bring a developing winter storm, according to the National Weather Service. Whether that will mean plowable snow or just a mess of wintry mix, sleet, or freezing rain, is still unclear. 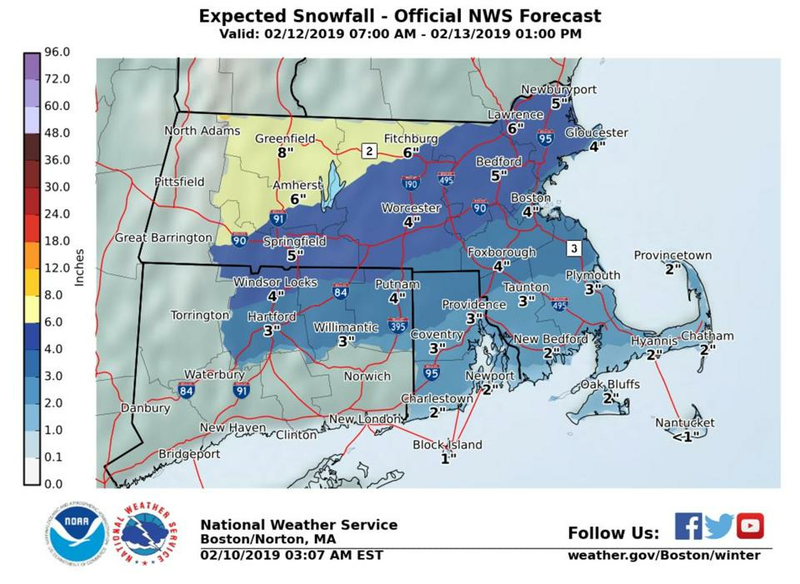 The storm will likely to affect travel Tuesday afternoon and evening, with snow expected after 1 p.m. and a possible accumulation of 2 to 4 inches in Boston, forecasters said. After the temperature hits a high of about 33 degrees, precipitation will likely last into the evening and switch over to rain by midnight. The rest of the week could likely be wet as well, with a chance of rain Wednesday morning and more likely all day Friday and Saturday, according to the weather service.